The earthquake which struck the coast of Ecuador Saturday night has so far claimed at least 272 lives and injured some 2,068, reported Fides Monday. According to the Secretariat of the Civil Protection of the Government of Ecuador, the earthquake, magnitude 7.8 on the Richter scale, was the strongest since 1979. It also declared the Pacific coast an emergency zone, namely the six provinces of Esmeraldas, Los Ríos, Manabí, Santa Elena, Guayas and Santo Domingo. The first report of Caritas-Ecuador indicates it has received 4,068 requests for help from 23 provinces in the country, including calls even from Ipiales and Pasto, two cities of Colombia. 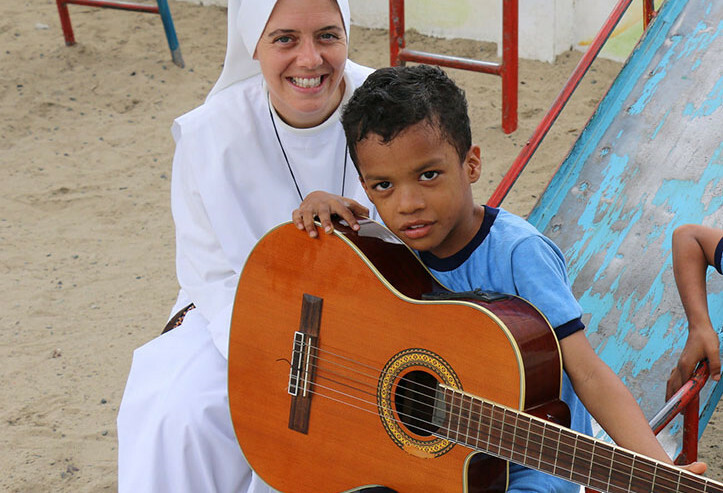 Among those killed in the tragedy were an Irish religious sister who spent 15 years in Ecuador and five postulants of the “Siervas del Hogar de la Madre” Sisters community in Playa Prieta. The relief efforts, the agency learned, managed to reach the spot only 24 hours after the earthquake. Among those whose bodies were found were missionary Sister Clare Crocket (Irish, who spent 15 years in Ecuador) and 5 postulants: Jazmina, María Augusta, Maira, Valeria and Catalina. Thanks to rescue efforts, three other sisters of the community are alive. They were wounded and now are hospitalized: Sister Estela Morales (Spanish), Sister Merly (Ecuadorian), Sister Thérèse Ryan (Irish), and two Ecuadorian postulants: Guadalupe y Mercedes. According to social networks in the area, the Siervas del Hogar de la Madre run a school on the Coast which the earthquake completely destroyed.